By the mid-70s, the Beatles had long since broken up and the Rolling Stones were part of the jet-set, cavorting with the likes of Truman Capote and Andy Warhol. The biggest band attracting rock’s main demographic at the time – young, working class males – was indisputably Led Zeppelin. Their legions of fans had a lot to look forward to in early 1975 with the band’s sixth album, Physical Graffiti, due for release and the band gearing up to hit the road. A few thousand of those Led Zep devotees were lined up in the bitter cold on the night of January 5 / morning of January 6, 1975 outside the Boston Garden hoping to score tickets when they went on sale in the morning. Normally that’s where they’d have stayed, but due to the extreme cold (with temperatures in the single digits Fahrenheit) and the fact that many of those waiting to score tickets were only wearing things like jeans and jean jackets to fight off the cold, the venue staff decided to try something different- letting the fans line up in the lobby for the night. This turned out to be a mistake. Not long after they were let into the lobby area, some unknown fan or fans managed to force the inner locked doors to the Garden open. Soon hundreds of inebriated fans swarmed all over the building, breaking into the beer concessions, setting the seats on fire, and generally trashing anything they could get their hands on. Security guards ended up having to switch from trying to control the crowd to just trying to keep the whole place from going up in a blaze, running around with fire hoses and extinguishers dousing the fires as the kids started them. Later the police showed up to help, but they were unable to keep the rambunctious crowd in check. This had the desired effect of slowly stopping the crowds from trashing the place and instead focusing their attentions on getting their concert tickets. After they’d got said tickets, many then chose to go home rather than continuing to run amok, rapidly diminishing the crowd size in the building to more manageable levels. The show sold out by 6 a.m., but the damage had already been done, and even with the intervention of riot police and the quick thinking of Rosenblatt, an estimated $50,000 worth of vandalism (about $217,000 today) had to be dealt with. Mayor White’s I’m the Cool Dad attitude quickly morphed to “Let’s teach these kids a lesson,” and he banned Led Zeppelin from playing any gigs within the city of Boston for five years, depriving the riotous fans of being able to see the band they’d just bought tickets for. 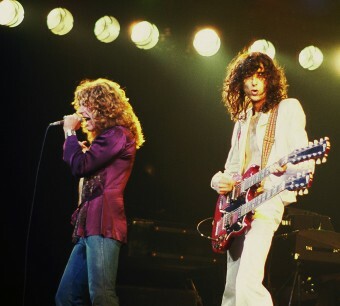 There was no way anyone could know it at the time, but since Zeppelin were forced to skip the city on their tour in 1977, the band would never play Boston again, as that tour turned out to be their last.